Hi. I'm a 23 year old male and I've been trying to combat back acne for 8 years now. The only time it truly went away was when I was travelling through Thailand and the combination of the sun and heat and sometimes not even showering, and maybe the salt water (?) made no deep pimples even show up. But that time has passed. I am now considering Accutane to combat it. My back acne is very deep in my skin, sometimes there are pimples not even red yet but I can feel them deep within the skin. I wouldn't say it is severe but it isn't moderate either. Sometimes I will wake up and my skin won't be red or inflammed, but then it gets inflammed perhaps through the day or even at night. I'm very good at keeping clean sheets and clothes. 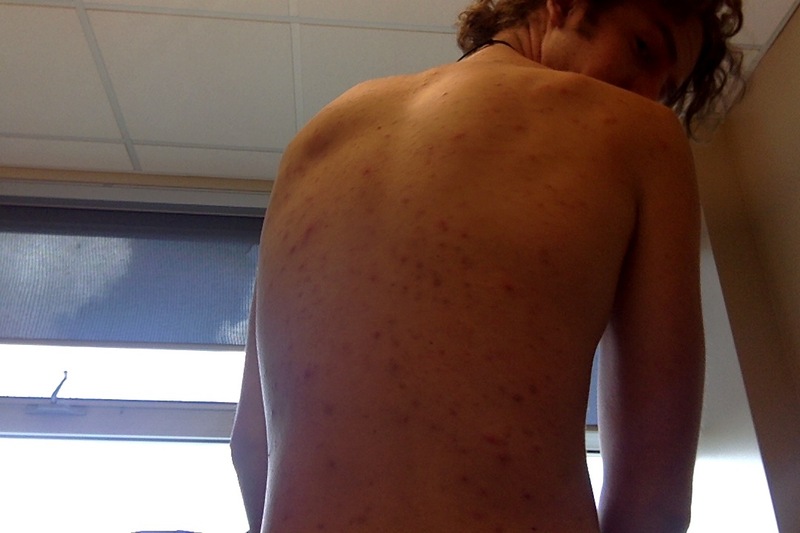 Has anyone experienced this similar kind of back acne? Also, I'm worried that if I take Accutane I will breakout on places like my face, which overall doesn't break out too bad. The picture is probably the most inflammed it has been in a time. I've tried benzoyl peroxide, salicylic acid, tea tree oil, coconut oil, Minocycline (which I found I was allergic to), toners, and acne regimens alike, also been taking zinc for the past two months.